Auto service. Car repair and maintenance. Suspension with brake shoe and brake disk. One of the many things that makes Dave’s Body Shop stand out from other auto shops is that we have our own full-time mechanic—one who’s been working with us for more than 15 years! Glen Frantz is our suspension expert. 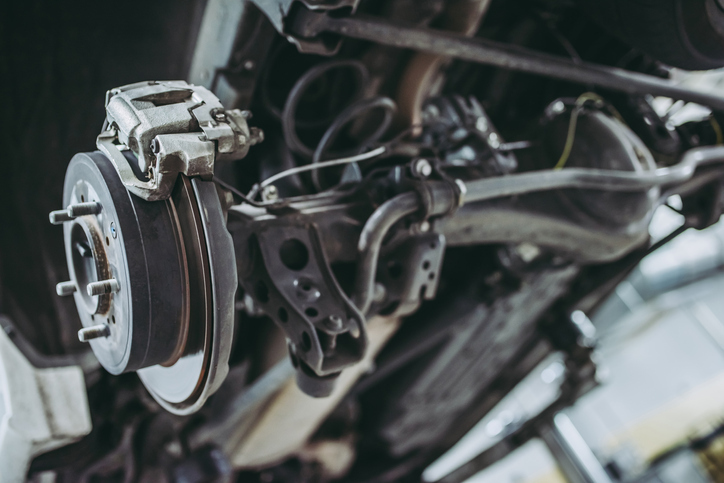 With more than a quarter-century of experience behind him, he’s got the training and expertise necessary to handle any and all suspension repair jobs, from drivetrain replacement to brake repair. If you’ve got a problem that has other shops stumped, never fear—our experts can help you. When you’ve got a problem with your vehicle that has you concerned, don’t hesitate to get in touch with our shop so you can set up an appointment. Dave’s Body Shop has been serving the Utah community since we first opened our doors in 1942. No matter what issues you may be experiencing with your vehicle, you can always depend on us. For a free estimate, call us today at (801) 566-3906.